Los Angeles, CA – America’s premiere R&B vocal group and Rock & Roll Hall Of Fame inductees, The Coasters, have had one incredible, miraculous, astounding ride in the music business. Less of a group and more of an institution, The Clown Princes of Rock & Roll established themselves 6 decades ago, and in that time have seen many musical fads come and go. But one thing has always remained – the power of a truly timeless song especially when experienced through the prism of the expertly sung 4-part harmonies that are The Coasters stock in trade. 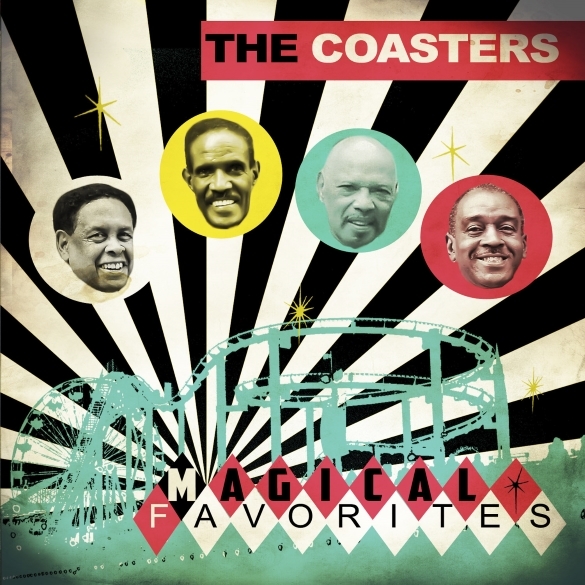 To commemorate the group’s unique and longstanding career, The Coasters are proud to present Magical Favorites a collection of brand new recordings covering some of the very best American rock and R&B classics such as Sam Cooke’s “You Send Me,” The Temptations “Just My Imagination,” Elvis Presley’s “Don’t Be Cruel” and many more – all done in the indelible Coasters way! Magical Favorites will be available March 31 from Goldenlane Records.